I know you are looking for a great Mother’s Day breakfast recipe, maybe even a breakfast in bed recipe. Well, look no further, here it is. My Blueberry Ricotta Pancake Dippers is the recipe you’ve been looking for. I’ve mixed blueberries, ricotta and buttermilk pancakes together and baked them in a Madeleine pan to make little “dippers” that turn your pancakes into finger food to dip in your favorite sauce. 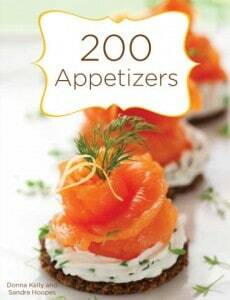 They are perfect to eat in bed or munch on while you are having brunch in the backyard. And yes, they are perfect for little fingers that make a sticky, but adorable, messes with regular pancakes. Sometimes, I get these whacky ideas in the middle of the night and then have a hard time going back to sleep because I am so excited to try them out. These are one of the best “whacky” ideas I have ever had. So, here is a little insight into the how these “pancake dippers” came about. Mother’s Day is coming up and while I was thinking of a good recipe to share with you, my mind started to wander. Soon, I was reminiscing about the homemade cards and little crafts and treasures my boys made for me every year. I even thought of the paper mache brooch shaped like a flower that I made for my own mother when I was in the first grade. The glue was still wet on the little stones I put in the center when I had to wrap it in tissue paper and carry it home form school. Along the way, the stones shifted and stuck randomly on the petals. I was so disappointed when Mom pulled away the yarn ribbon and opened my little package. Mom didn’t act as if she even noticed. She “oooo-ed” and “awww-ed” as if it were the Hope Diamond. Mom wore it proudly every time she wore her navy blue dress, not just on Mother’s Day, but every time she wore that dress. Then, my mind wondered to the little fingers that made all of those little gifts and how many times those little fingers had made “breakfast in bed” for me with the help of a biscuit mix that their Scout leader had sent home with them. I laughed when I thought of all the crumbs in bed and the sticky jam finger prints on the sheets. That’s when the light bulb went on and my “Pancake Dippers” were born. Ya, I know, my husband thinks I’m a nut, too. But! 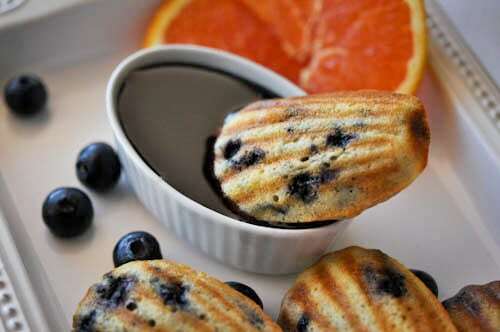 You are going to love these Blueberry Ricotta Pancake Dippers just the same! Don’t worry. If the little fingers around your house are not quite ready to separate eggs and fold in egg whites and if your husband is anything like mine, a boxed pancake mix works just as well. These little pancake dippers are baked in a Madeleine pan and are perfect for breakfast in bed. Kids will love picking up the pancakes and dipping them in fruit sauce or syrup. Separate the eggs and beat the egg whites to a soft peak. Set aside. Combine the egg yolks, ricotta, butter milk, melted butter, lemon or tangerine juice and zest together in a mixing bowl. Sift the 1 cup of the flour, baking powder, baking soda, sugar and salt into the ricotta mixture. Beat on medium speed for 2 minutes. Gently fold in the egg whites until almost combined. Sift the remaining 1/c cup of flour over the blueberries and gently toss until the berries are coated. If the berries are fresh, and not frozen, rinse the berries just before tossing with the four so that the four will adhere to the berries. This will help keep the berries from sinking to the bottom of the batter as well as prevent them from turning your batter purple. Gently fold the berries and flour into the batter. Try not to break up the berries, if possible. Use a regular spoon to fill the cups of an oiled Madeliene pan about ⅔ of the way. If using a muffin tin, fill only ¼ to ½ of the way full so that you will have a thin "dipper" and not a muffin. Bake at 400 degrees for 12 to 14 minutes or until the bottoms are golden brown. The tops may not brown as well because of the amount of egg white and ricotta so, be sure and check the bottoms for doneness. Serve with berry or maple syrups for dipping. Bake these pancake dippers in a Madeleine pan so that you can pick them up and dip them in fruit sauce. If you don't have a Madeleine pan, use a muffin or mini-muffin tin. Only fill the regular sized muffin tin ⅓ of the way so that you have a thin little "dipper" to pick up and not a full sized muffin. I made these “pancake dippers” with little fingers in mind but, my big ol’ boys loved them just as much. They snatched a few every time they came by. You can dust them with powdered sugar and forget the sauce or syrup, just be ready for “powdered sugar dust.” My family ate them straight, no sugar or syrup. Feel free to trade in the blueberries for your family’s favorite flavors. If “dippers” aren’t your thing, here are some great pancake recipes from some of my blogging friends. Give this recipe a try and let me know how you like it. You can follow me on twitter and be sure to subscribe for future “whacky ideas” delivered right to your email inbox. LOVE this idea!! These are a perfect treat for my little ones! Thanks Sandy! I absolutely love this idea – and I know my kids would love it, too!! Hi Dianne, I love your idea of a muffin pan! Love this idea… If you have a chance can you post the recipe version if, say someone (ha!) wanted to just use packaged pancake mix? 🙂 Thanks! Hi, Christi! Glad you like it. Sure, I’ll try to get a recipe using a cake mix up as soon as I can. 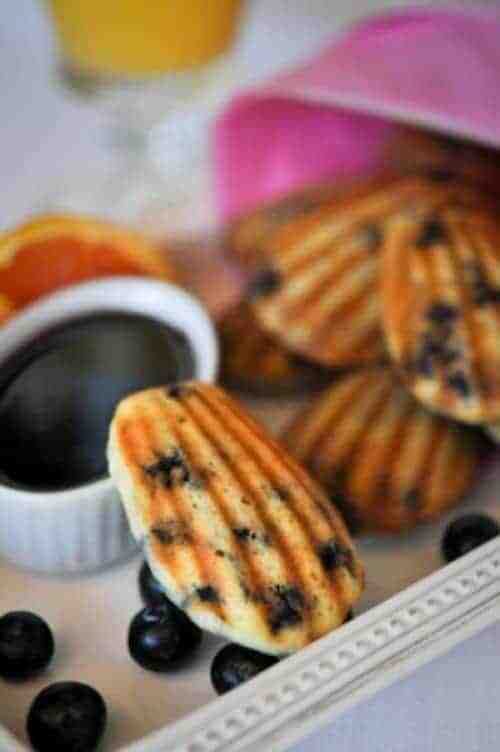 I’ll try for this week end, I’m in the mood for blueberry pancake dippers. Oh, they look just heavenly! Pinned and slotlighted on my FB fan page today. Can’t wait to try the recipe this weekend with my family. Oh goodness — I meant “spotlighted”. These look great! Have you tried making and freezing these ahead of time? Curious to see if they still taste Ok and how to rewarm them. Thanks! Hi Danielle, Yes, I think these would freeze very well. Maybe thaw them out and then put them in the oven to warm so that they get a little crispy on the outside. These are the neatest pancakes I’ve ever seen. What a clever idea….plus….another use for my Madeleine pan. Question – did you grease the pan? Can you use frozen blueberries or would that make too much moisture in the batter? If one did use pancake mix would you do anything different to the batter besides adding blueberries? Hi Annabelle, Thanks for your comments. Sorry it took so long to answer, it’s been a crazy, crazy month! Yes, I did grease the pan with baking spray (any Pam type spray will do). I’m sure the usual butter or shortening will work as well, butter may make them darker though. And yes, I think frozen blueberries are great in the recipe. They do tend to “bleed” into the batter so I try to as them as dry as possible and even toss them with a little bit of the flour first. Hope you love these, my family does! Have you every made these ahead of time? Frozen them? Hi Ava, That’s a great question. I haven’t ever frozen them myself but, I don’t see why you can’t. They should heat back up nicely. If you do give it a try, please leave a comment and let me know how it turned out. Freezing them would make getting breakfast on the table even faster… and with almost no dishes! I love Blueberries and I need to make these over the weekend. Thanks so much for the recipe! I love trying new recipes and adding them to my recipe collection. I’m one of those husbands that is clueless, but I am looking to make these for my wife and son. How do I modify the recipe to use boxed pancake mix instead? Appreciate any guidance you can provide.